Spacious 5 Bedroom, 3 Bath split foyer home offers over 3,000 sq. ft. of living space! 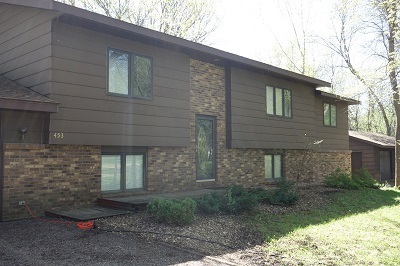 Home is on 200 ft. of shoreline on the Cannon River which connects to both Lake Tetonka & Lake Sakatah. Upper level features large living room & eat-in kitchen with 2 bedrooms and a full bath. Lower level has master suite with 3/4 private bath, 2 additional bedrooms, office, family room and another 3/4 bath. Besides the attached 2 car garage in an additional detached single garage with workshop.